A NothinButSnow ski instructor course is an ideal choice to take your first step into arguably the most exciting career on the planet. The training you will receive on each course will ensure you achieve success. All the while having an extremely fun experience along the way. Our structured training programmes will nurture and progress you through the ranks of ski instruction in one memorable winter season. Ski instructor courses offer a perfect way to improve your skiing ability whist living and experiencing life in a ski resort. All of our courses take place in British Columbia, Canada over 4, 8 and 12 weeks. 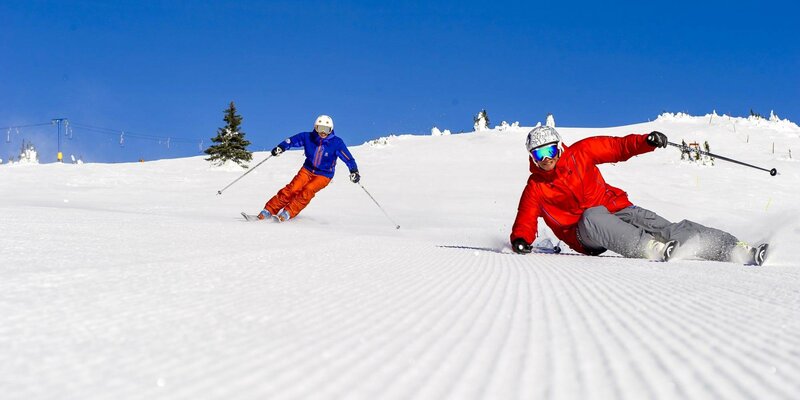 For those that are unable to take a prolonged time out, this 4 week ski instructor course is an ideal choice to become a certified ski instructor and generally improve your skiing over a shorter 4 week period. You will train towards your CSIA Level 1 qualification via instruction from our team of professional instructors, taking your examination within the last week of the course. Living in a luxury condo with fellow course participants you will enjoy Big Whites vibrant night life throughout the duration of your stay with us. This is the sure fire way to gain not only a qualification in the shortest time possible but also gain valuable coaching. Everyday is filed with something new to learn that will put you on the the path to success. Below encompasses what is included as standard in our essential package for your chosen course. There are various upgrade options available for each of our courses. Our upgrade options allow you to enjoy the benefits of some awesome added extras. If you already have your CSIA Level 1 then you can join us purely to train for your CSIA Level 2 qualification. You will jump straight in to the training with the individuals on the season long course after 4 weeks. This is ideal for the person who wants to complete their Level 2 in the shortest time possible. Whether you achieved your Level 1 through NothinButSnow or not it does not matter. All are welcome if you are prepared to train and desire success. Following our extremely successful season long level 2 programme the 8 weeks will overtrain you for the next stage in the development of your skiing. Learning everything necessary to expand of your level 1 knowledge and get you above the standard for your CSIA Level 2. You can also choose to complete this over 12 weeks with the first 4 weeks being free time to explore Big White and get your ski legs back in. This is popular for people who wish to be a part of everything from the start and to maximise their time in Canada. For info on this option please speak to a member of the team who will be able to price this up for you. Our 12 week level 1 & 2 ski instructor course is your ticket to learn how to ski like a pro whilst immersing yourself in a mountain resort for the winter season. A fantastic fun packed course designed to dramatically improve your skiing and steer you in the direction of instructor pro. Learn how to ski all aspects of the mountain and learn how the pro’s make skiing look effortless. You will look to gain both your CSIA level 1 and level 2 qualifications, which will propel you in to an exciting ski career should this be your aim. Training all day every day, Monday to Friday, NothinButSnow’s market leading instructor training programme will over-train you for all examinations to ensure you are more than ready when the day arrives. With the inclusive luxury accommodation, you can take time to relax in the evenings or participate in our various social events. It’s a truly amazing experience that you will find rewarding on so many levels. Meet fellow like minded and passionate skiers who share the desire to improve and further themselves in a sport you love. Gain valuable knowledge from our team of experts both on and off snow, whilst you enjoy this life changing experience. If working as an instructor is your goal then we make that our goal as well. We have consistently and successfully helped place our qualified students in employment in Canada, America, Australia, New Zealand, Japan and Europe. So please give us a call or email us and we can help make that a reality for you too. 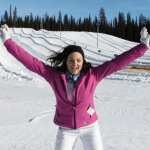 If you can remember how much fun and challenging your CSIA level 1 and 2 training was, just wait till you hit the hill for your level 3 training. Delivered solely by Canada’s ultimate CSIA top level instructors and examiners the quality of the training being presented on snow will blow you away. You will acquire an advanced understanding of the CSIA technique and methodology, develop your ski teaching and build strategies for long term development. You will spend time focusing on your riding, teaching and pedagogy sections. Pedagogy is learning how to train trainers. So if you think about when you completed your level 1 & 2, the training you got, that is what you will learn to deliver. Not only does holding a level 3 allow for a drastic rise in your hireability it also allows for an unparalleled level of training that can only be achieved via our CSIA Level 3 course. With our guidance every step of the way and the fine tuning of your skiing ability, you will feel confident when the time comes to sit your CSIA level 3 exam. 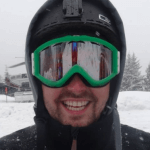 How does working as a ski instructor sound this winter? Our ski instructor internship course gets you hands-on work experience, certified training and full time paid placement all before the Christmas holidays. Meaning you can hit the ground running working and establishing yourself in the snow sports industry. Too easy eh! As a NothinButSnow graduate intern you will start working with a tonne of skills developed from your training with us. Whats so good about this course is you have our full support from day one and throughout the season and we don’t charge you for extras like support with finding accommodation after your course, we take care of all this for you! The icing on the cake is your option to upgrade your course to a dual winter dual certification package. It’s a unique opportunity not to be missed, but places are limited. How does working as a ski instructor sound this winter and the winter after that? Our level 1 & 2 ski instructor internship course gets you hands-on work experience, certified training (set over 4 weeks) and a full time paid placement (set over 14 weeks) starting before the Christmas holidays. Meaning you can hit the ground running working and establishing yourself in the snow sports industry. Too easy eh! As a NothinButSnow graduate intern you will start working with a tonne of skills developed from your training with us at the beginning of each season. What’s so good about this course aside from the work placement, is that you have our full support from day one and throughout the season. We don’t charge you for extras like support with finding accommodation after your course, we take care of all this for you! It’s pretty sweet! But what truly sets this course apart is the dual winter aspect. You train for your level 1 and work the remaining of the season in the ski school during your first winter with us. The following winter you repeat the whole process by training for your level 2 qualification and return to working in the ski school once again earning even more money due to the higher qualification you will then hold. It’s a double winter, meaning double the fun! With a guaranteed job both seasons! Don’t just take our word for how great our courses really are.